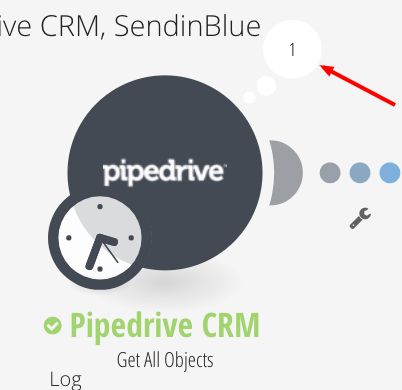 You can integrate your Pipedrive contacts with SendinBlue using Integromat. 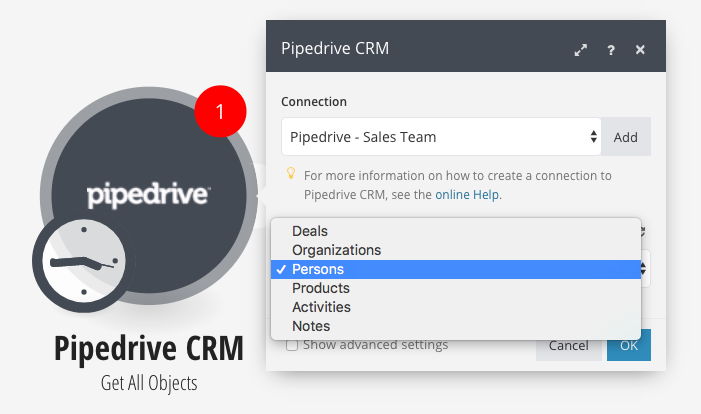 Depending on how you use Pipeline, you can add "persons" from deals, stages and pipelines. 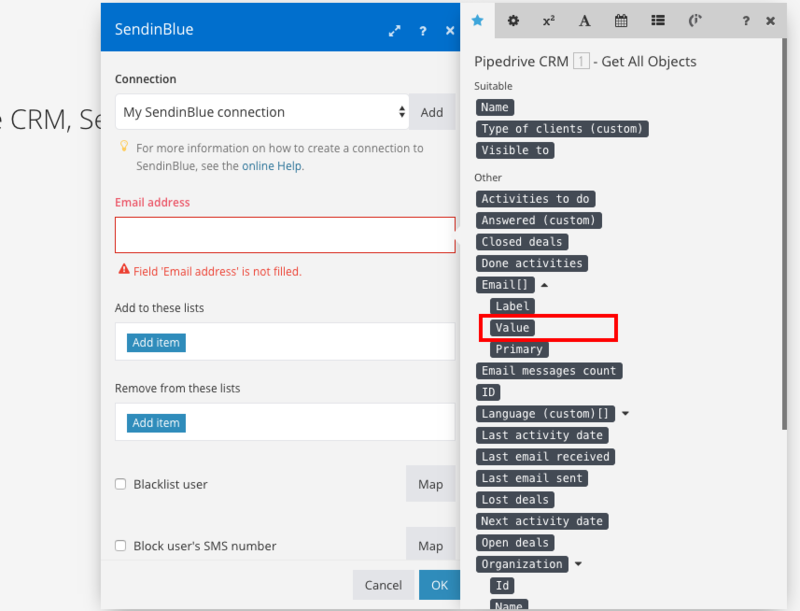 In our example, we're going to synchronize all Pipedrive contacts into SendinBlue. What are the steps for creating the workflow? 1. Create a new workflow on Integromat. The button for creating new workflows is located on the dashboard. 2. 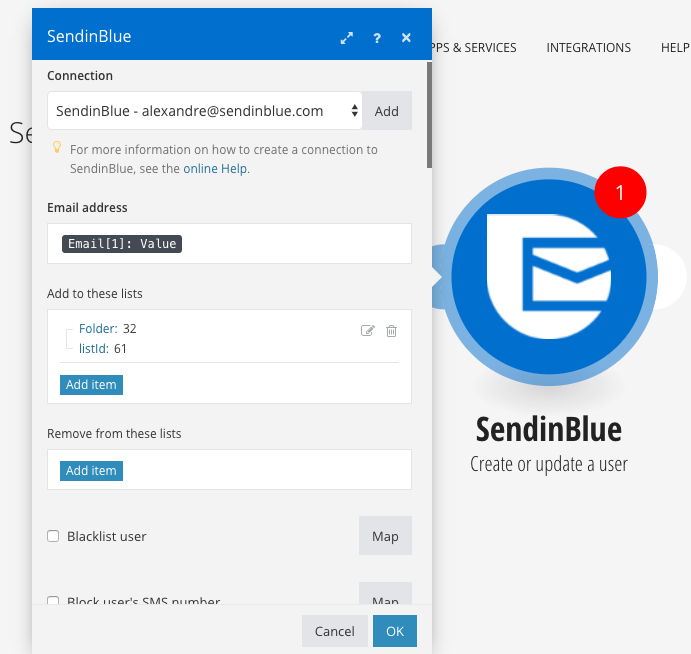 Select the application to which you would like to integrate SendinBlue. 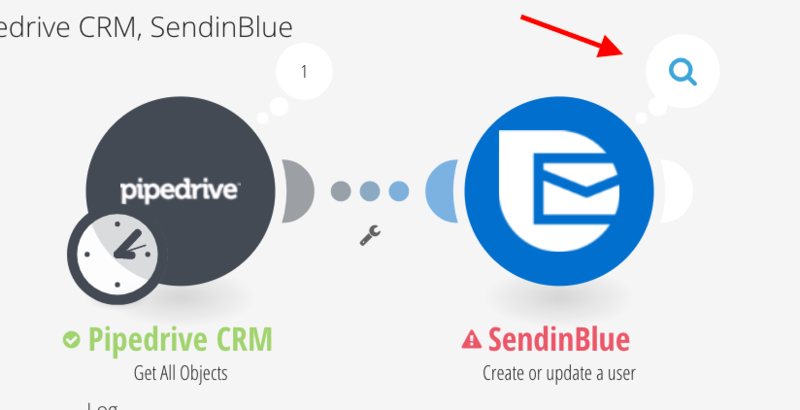 In our example, we would like to add all Pipedrive contacts and new contacts to SendinBlue. 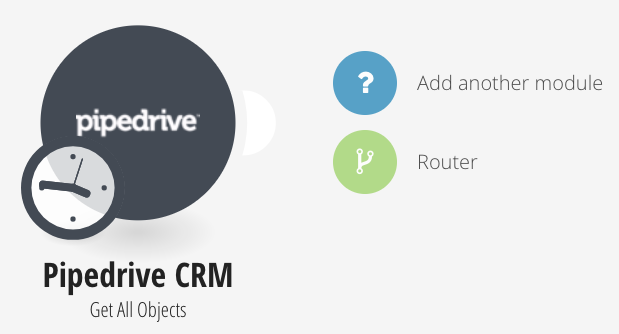 So, we need to select the Pipedrive application. 3. Select the action you would like to perform. 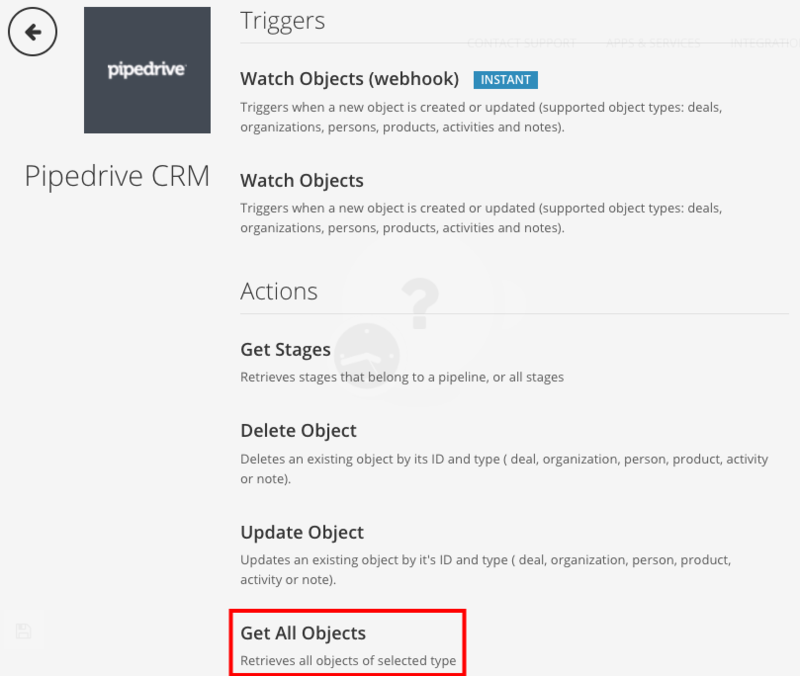 In this case, we need to select the "Get All Objects" action to add all the contacts in Pipedrive to SendinBlue. You can of course segment the contacts you would like to import by "Stage" or "Pipeline" for example. 3.1 Follow the module's steps: log into your application using your Pipedrive API key, which you can find in "Your Profile"/"API". 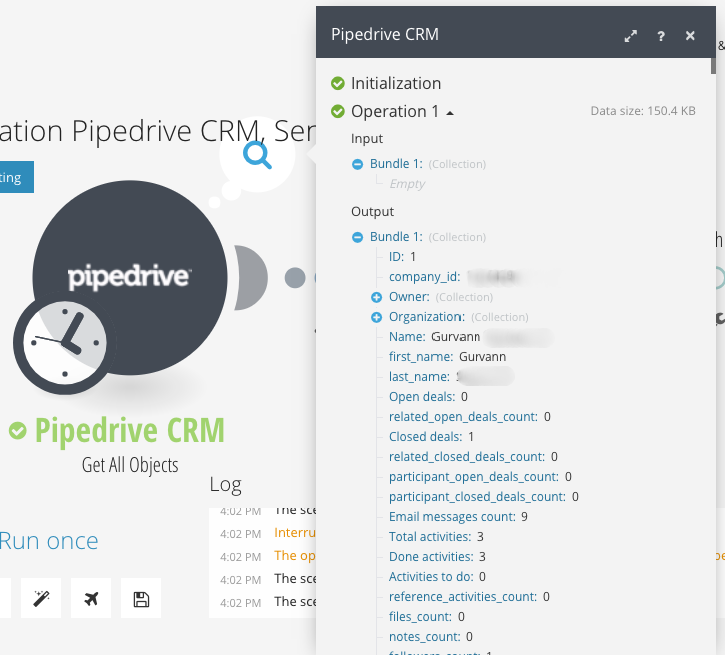 Then select an object type, which in this case is "Persons", to get the email addresses of your Pipedrive contacts. 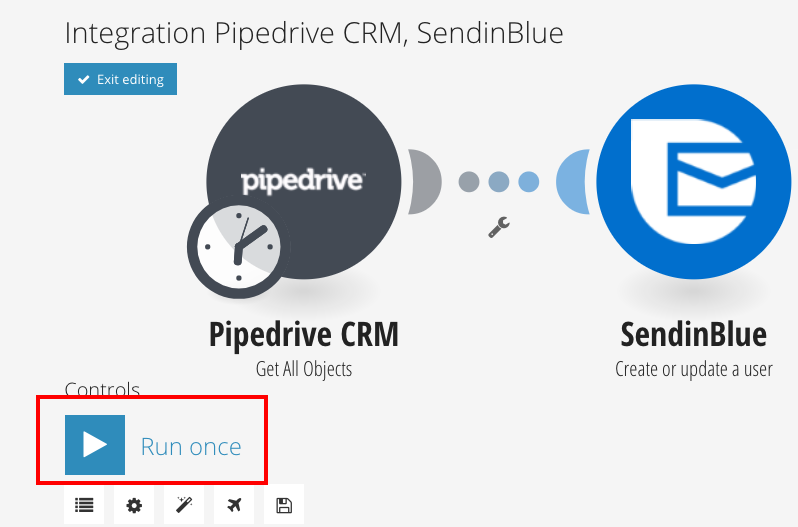 4.1 Select the "Create or update a user" action to add all Pipedrive contacts to SendinBlue. 4.2.1 Add an Integromat "Connection" to your SendinBlue account. 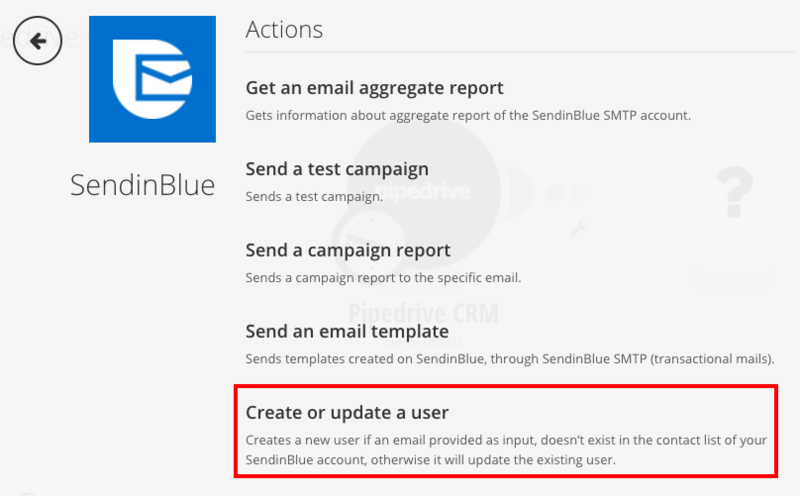 To do this, you just have to select your SendinBlue API key, which you can find in My Account/SMTP & API. 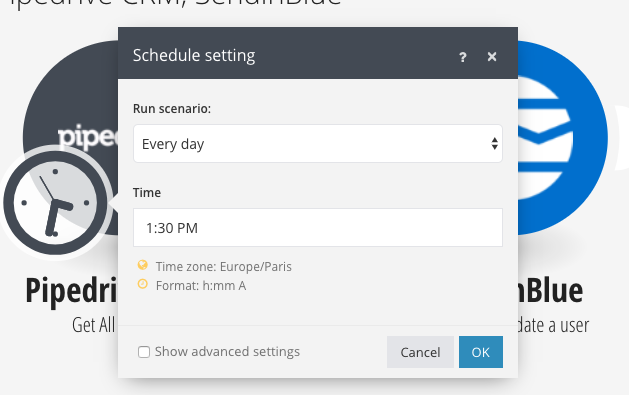 Tip: if you don't know which variable to use, you can start the workflow by clicking on "Run Once" in the workflow. You will then be able to see an example of the variables to the right of their name. 4.3 Then, from the SendinBlue contacts list, select the username where you would like the contacts to be added. Then, click validate. 5. You will then need to select a time interval for the update. To do so, you just need to click on the clock in the first module. In our example, we're going to choose to update the SendinBlue contacts list every day at 1.30pm. 7. To finish, click on the Save button, rename the workflow if required, then click on "Edit Exiting" Note: if you get an error message when you launch the workflow, click on the magnifying glass to get more details. If, for example, an email address is invalid, you can ignore all of the errors. 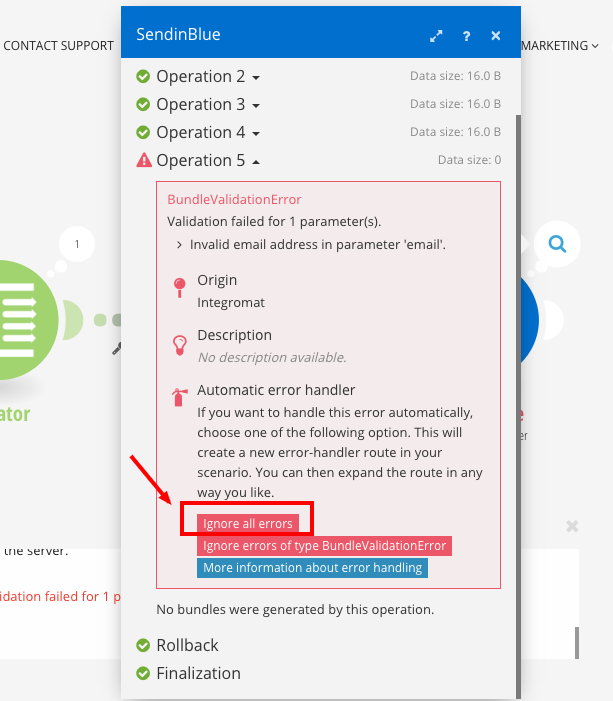 By clicking on "Ignore all errors", your workflow will no longer be suspended due to an error.